Liz and her husband like to leave their car behind in the UK, choosing instead to use the many other modes of transport available in Porto. Many independent travelers (ourselves included) put a lot of effort into planning a trip to a chosen destination without giving a lot of thought to how they're going to get around once they've arrived. Luckily, most cities worth visiting offer a bewildering amount of choice, and Porto is no exception. Here are a few tips for getting the most out of the city's various transport options. 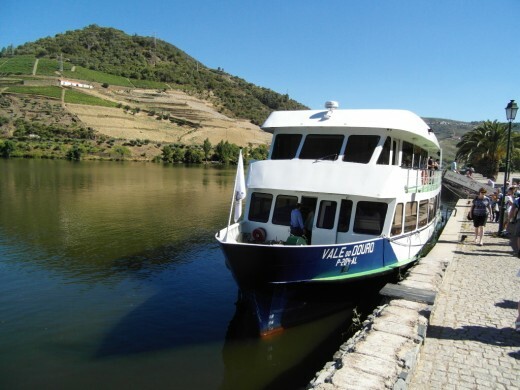 At the end of this article, you will also find a note on other forms of transport available, as well as this author's personal experience with a one-day cruise on the River Douro. As cities go, Porto is fairly compact and you don't have to walk far in the center before you come upon a major sight worth seeing. I often think that walking has a lot of advantages. You can go at your own pace. You can stop to browse or take a photo wherever and whenever you want. You have time to appreciate the sights and you can wander at leisure through the quaint alleyways and backstreets that you would miss with other forms of transport. On the downside, Porto is not on the flat. There are several steep slopes and hills to negotiate. So whilst we walked a lot, we also made use of transport available. 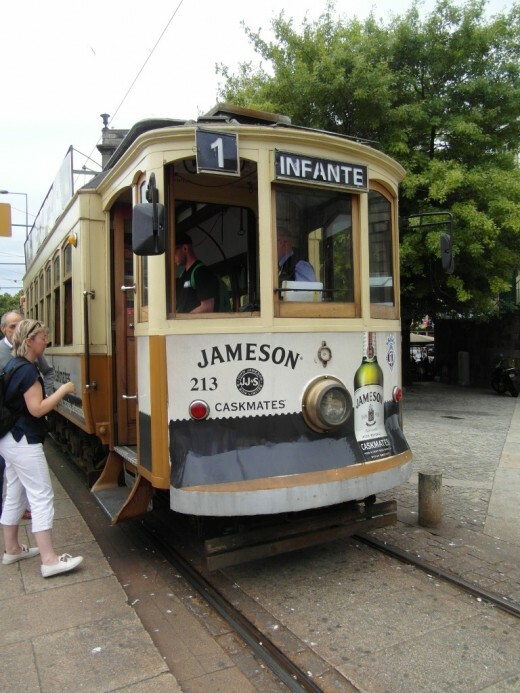 There have been trams in Porto since 1872 and up until 1904, they were drawn by mules. 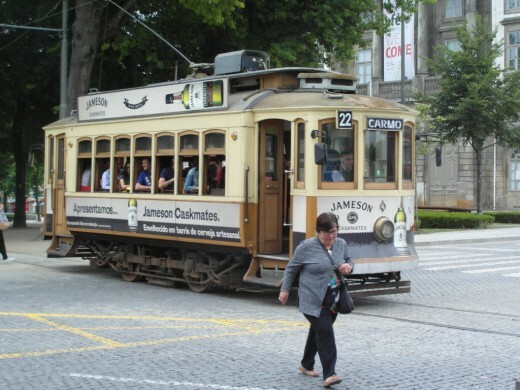 There are three vintage tram routes left in Porto. 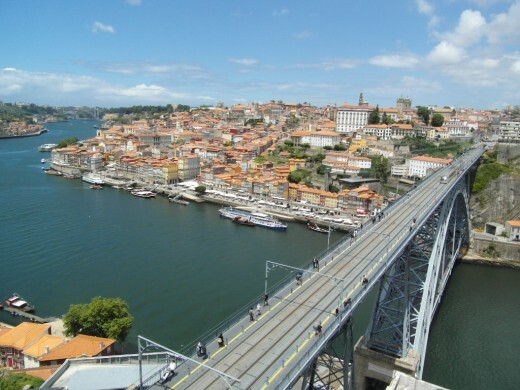 Line 1 runs along the north bank of the River Douro from Passeio Alegre, near Foz do Douro, to Infante in the Ribeira district. Line18 runs from Massarelos (outside the tram museum) via Rua da Restauracao to Carmo ( the area near Torre dos Clerigos). Line 22 runs from Carmo to Praca da Batalha. We used Line 1. It cost us 3 Euros each to travel from Passeio Alegre into the city. This is more expensive than taking the bus or metro, but the ticket includes a discount at the tram museum. It is not the height of luxury, as, due to their age, the trams have very firm seats and the ride is not the most comfortable. I thought the way the seats flipped at the end of the line to ensure that all passengers faced the way the tram was going, was quite ingenious, as I'm not a fan of traveling backward. Tip: If you are planning on taking the tram, it's best to catch it at the beginning, as the trams fill up quickly and you are not guaranteed a seat, or even getting on if you pick it up further down the line. Line 1 A-B on the map. Line 18 C-D on the map. Line 22 D-E on the map. You read the title right. It is possible to travel for nothing in Porto, but there is a catch. You need to be going to or from El Corte Ingles, a big department store (all be it a Spanish one) in Vila Nova de Gaia. For the keen shopper, it's definitely worth a visit and if like my husband, shopping is not your thing, the restaurant and cafeteria on the top floor are very reasonably priced. Shuttle stops are marked on tourist maps sponsored by El Corte Ingles. They are near Jardim do Morro, near Sandeman port house in Gaia and on Praca da Liberdade on the Porto side. We found a young lady handing out leaflets, who then summoned the minibus by phone. Waiting times vary, but if you are patient the minibus shows up. For a return trip ask at the information desk on the ground floor and you can get a free trip back again. 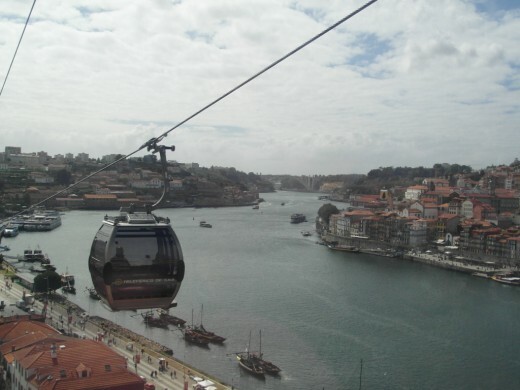 The teleferico (cable car) runs along the southern bank of the Douro in Vila Nova de Gaia, hence its name, Teleferico de Gaia. 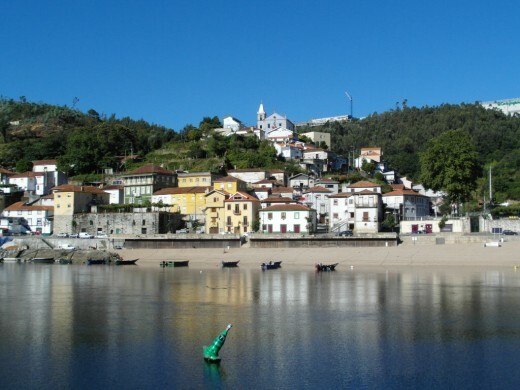 It goes from next to the garden on the hill, opposite Serra do Pillar monastery at the southern end of Ponte de D. Luis 1, down to the riverside near the municipal market. The trip lasts 5 minutes and covers 600m. A single adult ticket costs 6 euros and a return ticket costs 9 euros. I would recommend this for the great views back across the river towards Porto. The teleferico ticket comes with a voucher for a free glass of port in a small, less well-known port house, set back in a street behind the quay. It’s not exactly a vast quantity, but it gives a taste of what’s on offer and it’s free! Tip: if you are thinking of buying a return ticket, check the times of closure, which vary between 6, 7 and 8 pm, depending on the time of the year. The River Douro is a picturesque focal point for Porto. 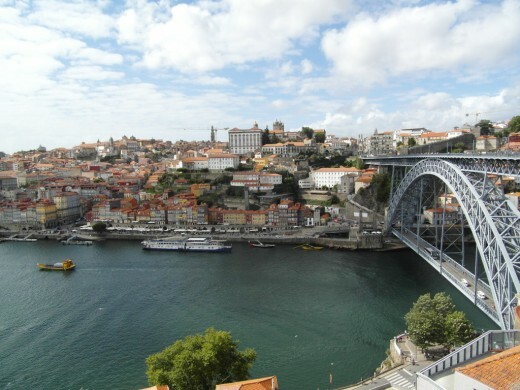 Its banks are a hive of activity, with restaurants lining both sides to the west of Ponte de Dom Luis I, and the views from the bridge itself are stunning. In June/July we saw young lads diving into the river from the Cais da Ribeira and from the lower level of Ponte de Dom Luis I. 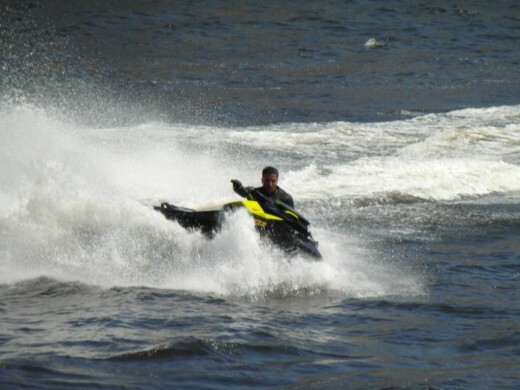 The odd jet ski and power boat were in evidence as well, but for those of us who prefer a less energetic approach, there are plenty of boat trips on offer. It’s not the cheapest means of travel, but the water taxi, which crosses frequently from Porto (Cais da Ribeira) to Vila Nova de Gaia at 3 euros per adult is definitely convenient and saves a long walk round via the bridge. 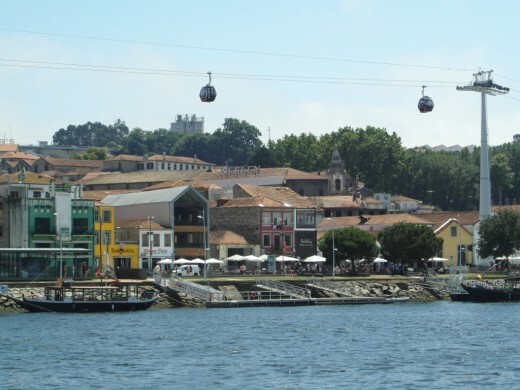 Where to Catch the Douro River Taxi. 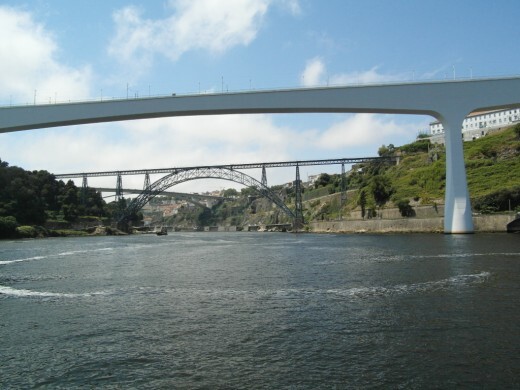 For a longer view of Porto from the River Douro, I would recommend a six bridges cruise. 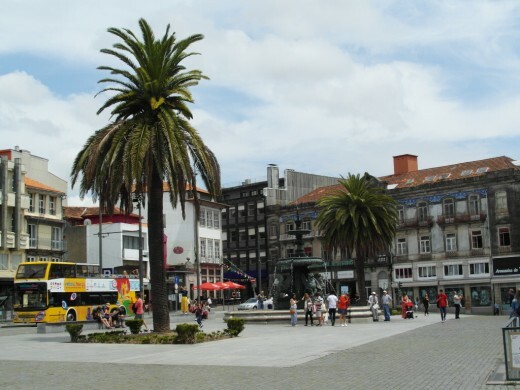 Several companies run multiple trips from Cais da Ribeira or Estiva pier. We paid 15 euros each for a 50-minute trip. The boat headed up the river, under Ponte de Dom Luis 1, Ponte do Infante road bridge and then Gustave Eiffel’s Ponte de Don Maria Pia, followed by Ponte de San Joao, before turning around within sight of the big road bridge, Ponte do Freixo. Retracing its route down the river, the six bridges boat trip offered views of Porto and Vila Nova da Gaia from a different perspective, before continuing down the river to pass under Ponte da Arrabida. 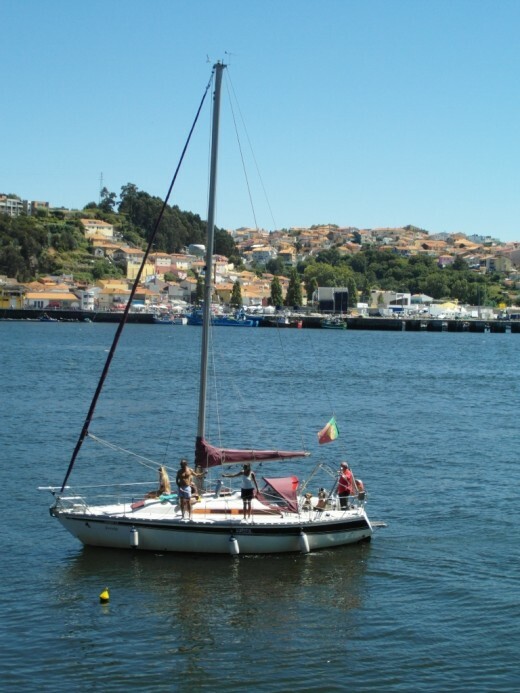 The boat then completed the circuit, returning to the starting point on Cais da Ribeira. Tip: When selecting a Six Bridges River Trip, look for a boat with plenty of outside space for the best views and photographs. Having spent a fair amount of time in the cities of Porto and Vila Nova da Gaia, we were searching further afield for interesting destinations, when we noticed the fishing village of Afurada appeared to get a good write up online and in our guidebook. So we made our way down to the northern bank of the Douro and found a boat leaving Cais do Ouro, to the west of Ponte da Arrabida. A one-way ticket cost us 2 euros each. 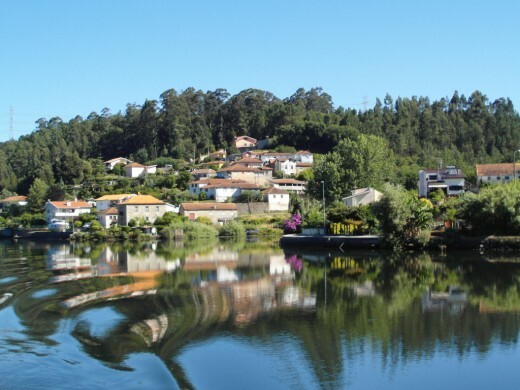 Afurada lies on the southern banks of the River Douro, with the mouth of the river and the Atlantic Ocean to its west and further east the city of Vila Nova da Gaia. It is home to a fishing fleet. The village’s full name is Sao Pedro de Afurada and, unbeknown to us, the Sunday we visited in early July, there was a full-scale carnival in Sao Pedro’s honor. The place was packed, so all hope of a quiet Sunday lunch went out of the window and we even struggled to get a drink. Most places were either full or stopped serving meals early in preparation for the upcoming parade. 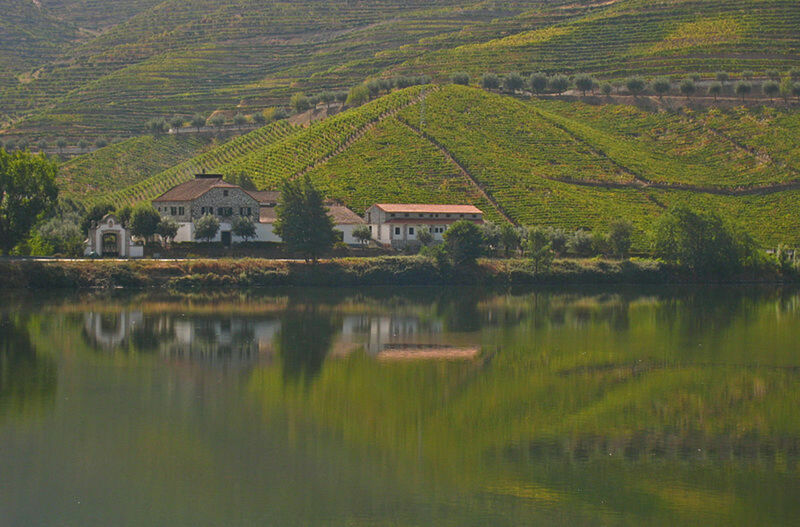 It had the feel of an event for locals and feeling very much like outsiders in the large crowd, we decided to head back to the quieter northern banks of the Douro. Tip: When visiting somewhere slightly off the main tourist trail, it pays to do your research thoroughly. 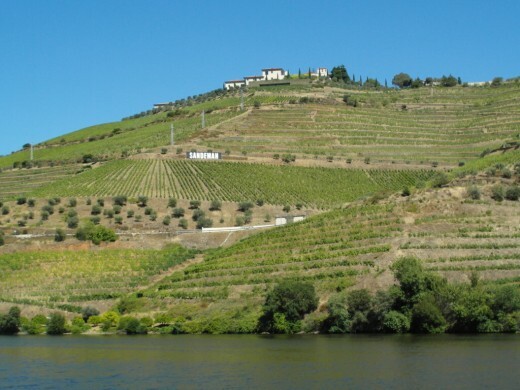 Some visit Porto either end of a long river cruise, but where time and finances are more limited, I would recommend a one day trip up the Douro. 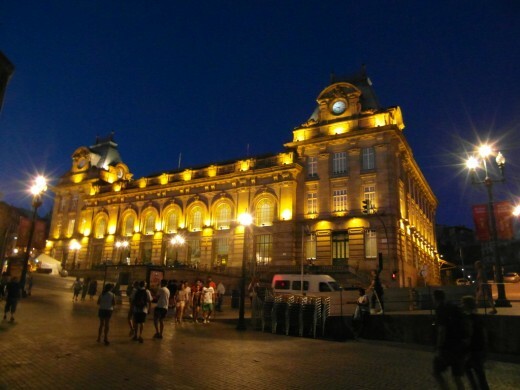 There is no shortage of ticket offices and tour operators eager to get your business. 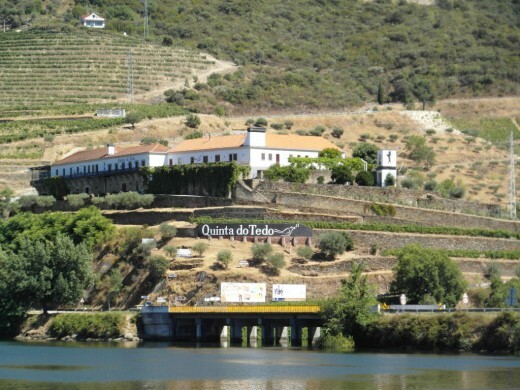 We opted to buy direct from a river cruise company Rota do Douro, which has an office on the southern bank of the River Douro. Staff members were helpful, explaining the different itineraries available and showing us on a map. 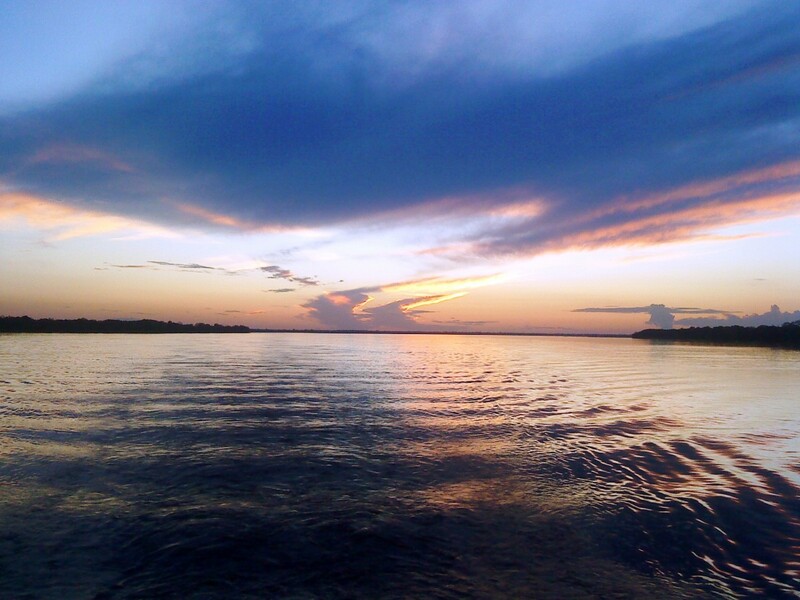 There are various options with cruises available to Regua or, further to Pinhao. One way is by boat and the other by train. 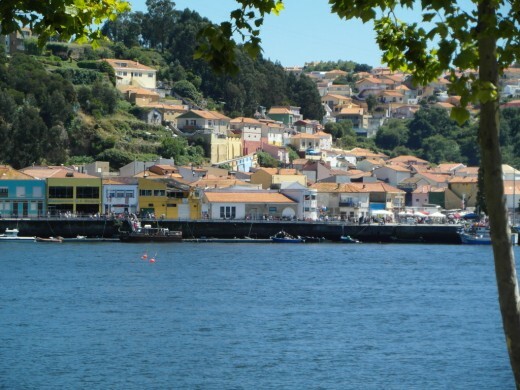 On the advice of the staff in the office, we opted to sail from Porto to Pinhao, as we were told that the scenery beyond Regua becomes more impressive and we would be given breakfast onboard as well as lunch. 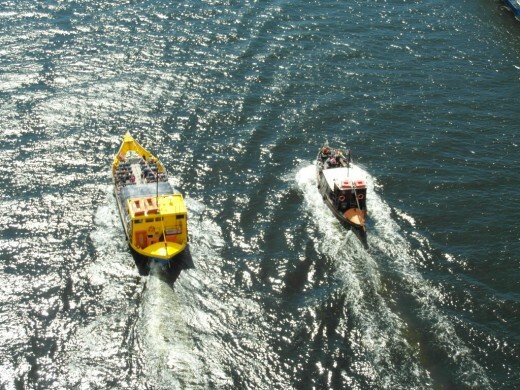 Boat trips run either April to December or April to October (depending on the itinerary). 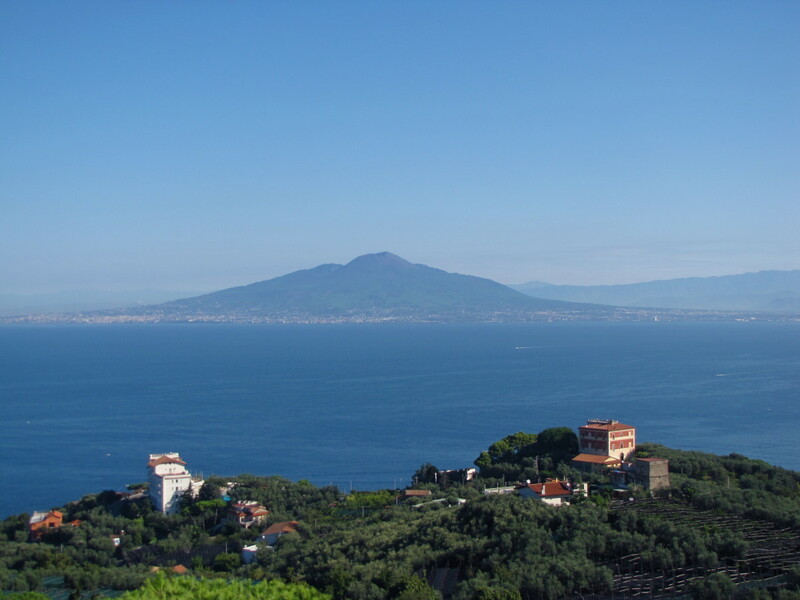 Prices are slightly higher June to September and, in some cases, at weekends. Tip: it’s best to do a little research and book ahead, as itineraries vary and trips get booked up quickly in the height of the tourist season. Tip: there does appear to be some flexibility in the pricing. Our trip upstream to Pinhao should have cost 82 euros each, but, on hearing that we would need to take a taxi for the early start, the manager offered us the trip at the low season price of 77 euros. As with most cities, taxis are in plentiful supply. We took one from the airport to our hotel and another into the city for an early start. Fares are reasonable, but it's not the cheapest form of transport unless maybe there are enough of you to fill a taxi. Hiring a car to travel around any city is not for the faint-hearted, but a hire car could prove useful if you plan on exploring further afield. Our hotel supplied us with a copy of a bus timetable, which was useful, but we had to buy a single ticket each on the bus. 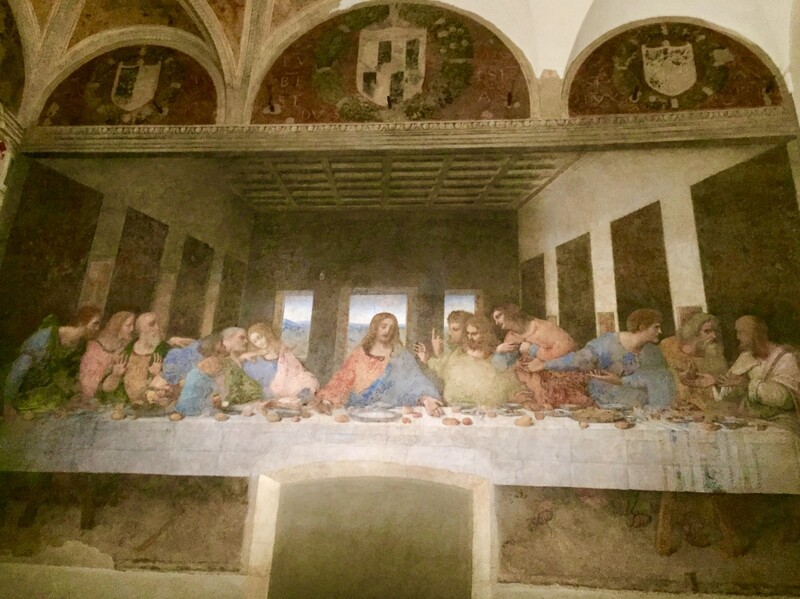 We quickly found that the cheapest way to get around was to buy a reloadable travel card. We bought ours from the tourist office near the cathedral. We could use it on buses and the metro and reload it when necessary for more trips. This was easily done at machines in metro stations. There are other forms of transport aimed at the tourist market, such as pedal bikes, Segway tours and the ubiquitous double-decker hop on, hop off buses. Tip: Always remember to validate your ticket or travel card on the bus or you could be fined. The trip involved an early start, 7.45am at Estiva Pier, Porto. Being English, we got there in plenty of time to queue (which other European nationalities are not so hot on). We needn’t have bothered, as embarkation took some time, with an officious young lady with a clipboard barking out her orders and directing us to dining tables, which were pre-allocated. The boat was on two main levels. There was a sun deck on the top with a smaller front dining area inside and a bar. Downstairs there was a larger fully enclosed dining area, with stairs down from here to toilets on a lower level. We were instructed to go straight to our table, which, disappointingly, turned out to be on the lower level. A German couple already had the window seats and a Portuguese couple took the inner seats. A continental breakfast of rolls, butter, jam, orange juice, and coffee was served, as we left Porto. So there wasn’t any opportunity to take photographs as we sailed away from the city. It didn’t take a maths genius to work out that the number of plastic chairs on the sundeck was no way sufficient for the number of passengers on board, but we were lucky to grab a couple. The scenery in the morning was pleasant enough and the ship’s crew did give a commentary on points of interest in several languages. As the morning wore on, the sun grew stronger and the temperatures rose. The sundeck offered very little shade and gradually the numbers thinned, as passengers headed indoors. Considering the numbers involved, I thought that the waiter-served lunch was reasonable. There was soup with a roll, a meat dish with rice, potatoes and vegetables, cake, coffee and plenty of table wine. The advantage of allocated seating meant that there were no arguments or rush for the best seats and we soon got into a conversation with our German neighbors, which continued at intervals throughout the day to the point that we exchanged contact details as we parted at Sao Bente station at the end of the day. The Portuguese on the other side of us spent most mealtimes on their phones and barely uttered a word to the rest of us on the table. Tip: I was grateful we had grabbed some breakfast before leaving our hotel, as breakfast onboard was not the most substantial. You are onboard from around 8.00am to mid-afternoon, so I would advise taking a few snacks and plenty of drinks with you or be prepared to spend at the bar onboard. 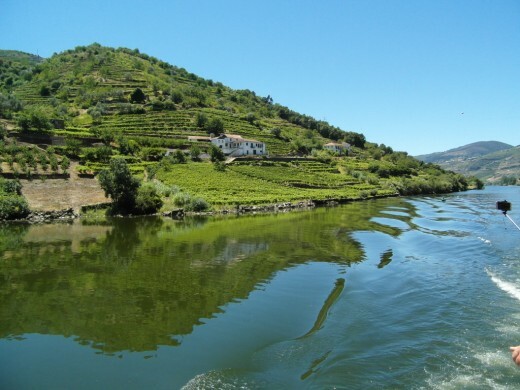 Gradually, as the boat sailed further upstream, the scenery became more striking and the vineyards came into view on both banks of the River Douro. The boat pulled in at Regua and some passengers disembarked, while a few joined the boat. 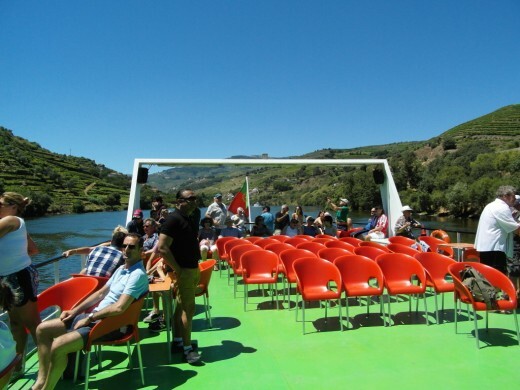 The staff in the Rota do Douro office were right, the scenery became more impressive the further we sailed. The temperature rose also, hitting 100 degrees Fahrenheit by the time we reached Pinhao. As we disembarked at Pinhao, we were given brief directions to the train station, by the clipboard girl along with instructions to meet her there to collect our tickets before boarding the train to Porto. We had 90 minutes, which gave us time to grab a beer down near the river and have a brief wander around, before going in search of a water fill up. The shopkeepers in Pinhao are onto a good thing, selling bottled water at hugely inflated prices to thirsty tourists. Unsurprisingly, the common language of the early arrivers at the station was English. When clipboard girl turned up, it became apparent that there had been a mix-up and she did not have enough tickets for everyone, but she assured us that this was not a problem (and I didn’t notice anyone being thrown off the train). Another cause of confusion was that the train went to Estacio do Porto Campanha, which turned out to be the main station for the city. But clipboard girl came into her own, she had actually turned out to be quite human after all (initial impressions can be deceptive) and she assured us all that she would go with us on a link train to Estacio Sao Bente, which she duly did. I would recommend the river trip we did. Sightseeing in a city inevitably involves a lot of time on your feet, a river trip gives the opportunity for you to sit and watch the world go by for a while in a more relaxing atmosphere. Initially, I was unsure about the combination with a train journey, but the train, which followed the course of the river most of the time, heading towards the setting sun, offered the opportunity to view the River Douro from yet another perspective. Road. (Local bus, tourist bus, taxi or hire car). Water. (River taxi or boat trip). Rail (Tram, metro or train). Independantly (pedal bike or segway). However you choose to travel around Porto and the Douro valley, the area has a lot to offer the exploring tourist and any visit here should be a reasonably priced and enjoyable experience. That seems a great itinerary. I would say a week to 10 days would be good in Porto. We met a German couple on the River Douro cruise, who had rented an appartment in Porto for a few days and were then hiring a car to drive further South down the coast. It would be good to combine a trip to Porto with visiting other areas of Portugal. Do you have any estimate as to how long the optimal stay might be? Thanks for your comment, Linda. I was a little concerned before we went to Porto that there might not be enough to do on a longer stay. I needn't have worried. There was more than enough to fill our time there. There are so many different ways to get around in Porto. I think I would use all the transportation options. That way you could see it all of every vantage point. Love your travel articles! Thanks for your encouraging comment, Peg. 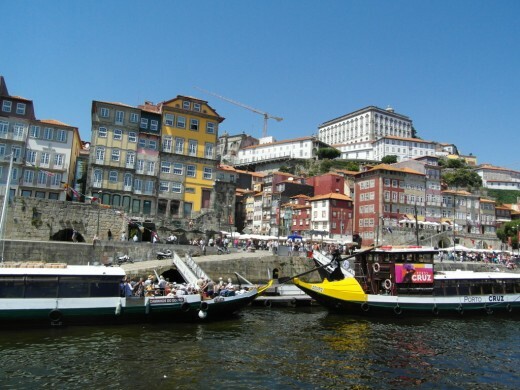 Porto is steadily gaining in popularity as a tourist destination. Fantastic photos and great ideas for things to do and see in Porto. Loved this. Thanks for your comment, Joni. I was pleased with how the photos came out. The air was clear in Porto, which helped the quality of the photos. Love the pictures, they are beautiful! You have a point. I use to go to airshows and would often run out of film. Yes, there were always the shots that happens a second too late. There appears to be no limit now (apart from time constraints)on how many shots you can take to get the perfect photo. With film cameras you had to get the 'perfect' shot first time round or waste film/developing costs. A high percentage of digital photos probably get discarded or deleted. Yes, the digital cameras are much better, at least for amateurs. I don't know if professionals and camera buffs would have a different opinion. There's usually a catch when something is free. I would definitely recommend the one day cruise. Thanks for your encouragement, Natalie. I really appreciate it. I found it funny when you said that you can travel for free in Porto but there's a catch - you have to travel to and from a large department store! Oh no! I might have to shop both coming and going? On top of a glorious day in Porto? Drat! On a serious note the one day cruise sounds lovely and would be something I would definitely want to try. The way you detail your trip with the various legs and tips was really well done and useful. Thanks for a great article. Thank you, Robert. I was looking back recently at photo prints taken on an old film camera in an album and noticed how much improved the more recent ones taken on a digital camera are. I really wasn't sure how Porto would go as a trip, but it exceeded my expectations. The pictures are spectacular. It seem one can had a great time using the various mass transit methods in this city. Thanks for your comment, Patricia. I hope that one day you get the opportunity to visit Porto. Thanks, Coolmon. I'm pleased to be able to combine writing with photography. Thanks for your kind comment, Eileen. I feel like I'm still learning the Hub Pages writing technique. Thank you, Harold. I appreciate your comment. Thanks, Leonie. Portugal is a lovely country. I hope to return in the future. 11 months ago from Belgium. I love reading your article Liz: Bring back memories in Portugal. It certainly is, Bill. Thanks for commenting. I'm pleased that you could drop by. Thanks for the information, Ann. I'll remember that for when I'm next in Paris. The best ones are 'Batobus' which go round from Jardin des Plantes to the Eiffel Tower and back, anti-clockwise. They are cheap and you can get even cheaper day, two-day and weekly passes. 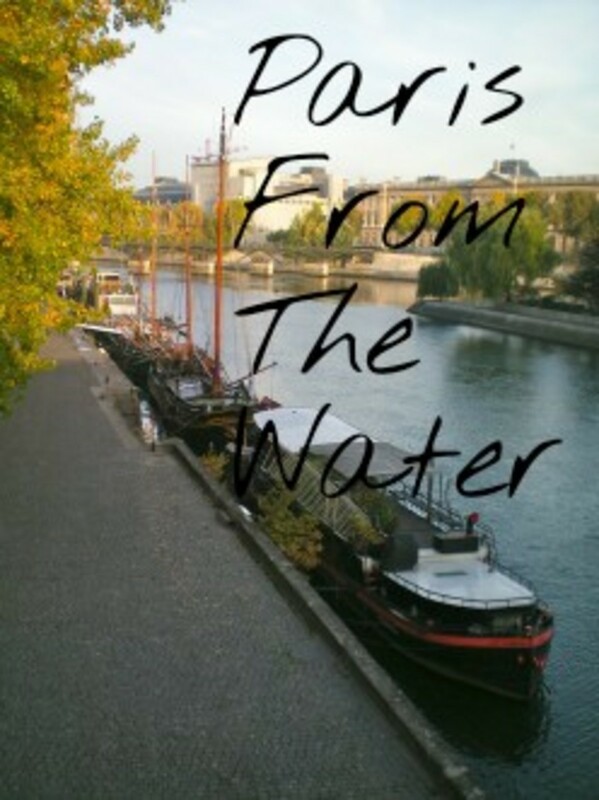 You get on and off where you like and the stops are close to the main sites along the Seine and beyond. I had a day in Paris with my granddaughter using that and shanks' pony and it was great! The best ones in Paris are 'Batobus'. They are cheap and you can get even cheaper day, two-day and weekly passes. They just go round and round from Jardin des Plantes up to the Eiffel Tower and back, anti-clockwise. My granddaughter and I had a great day out using these and shanks' pony! Thank you FlourishAnyway, I would definitely recommend Porto as a great destination. You never quite know what you're going to get when you sign-up for a day trip and I'm always a little apprehensive, as you give control of your day's itinerary to someone else. Clipboard girl, although quite young, was very talented, as she gave commentary in several languages. It must have been daunting for her, early in the morning to be faced with a crowd of tourists, most older than her, awaiting her boarding instructions. Peggy, Porto is well worth a visit. I think, compared to the main Portuguese tourist areas, it is relatively unspoiled by tourism and I hope it remains like this, as I'm sure it will become more popular in the future. Mary, I'm pleased that I have come across someone else who has been there. In the UK, it's rare to find others who have visited Porto. 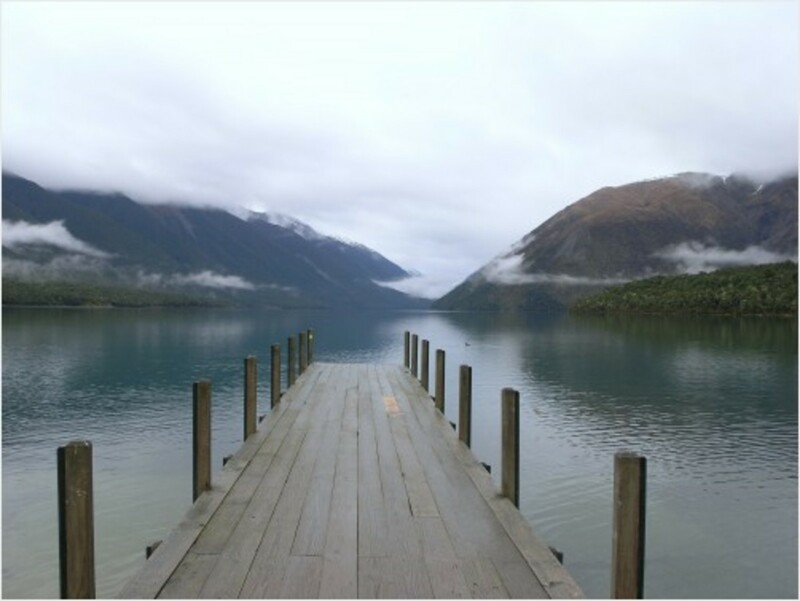 There are so many great places to go, that it often gets overlooked. I also think travelers from the UK often go to warmer, drier places (to get away from the UK climate) and Porto's location a little further north on the west coast of Portugal puts them off. Thank you, Dora. We had a lovely time in Porto, which exceeded my expectations. Thank you for the comment about the photos. I take a lot when I'm away. Linda, thank you for your comment. I appreciate the encouragement. It's a little easier these days with the internet to research travel options before going somewhere, but there's still an element of 'learning on the spot'. This looks like a gorgeous place to visit. I enjoyed your account of clipboard girl and was glad she had a heart after all. I’d love to visit. Thanks for showing us Porto and the surrounding area via your photos and descriptions. It looks like a lovely area to visit and spend some time. We enjoyed Porto very much because we spent several days in the city. It is really a must visit place. 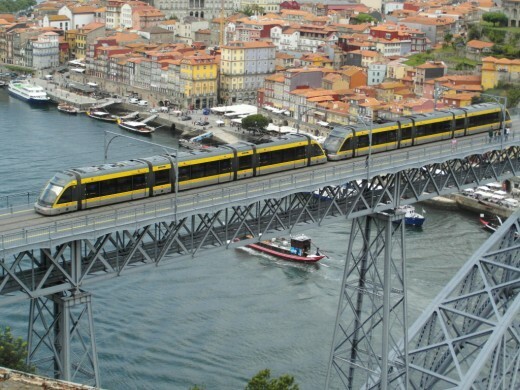 Porto looks like the perfect place to enjoy travel in its various forms. Your photos only add to the excitement. Thanks for sharing this amazing adventurous city. 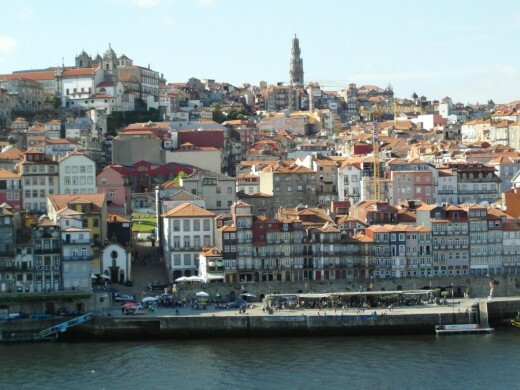 This is an excellent guide to travel in and around Porto, Liz. The article was very enjoyable to read and the information that you've shared should be very useful for travellers. Thanks for the encouragement. The only other place I've noticed water taxis in was Venice many years ago, but I think they are probably quite expensive. I'll look out for them next time I'm in Paris. This is a brilliant guide with very useful tips. We all benefit from some inside knowledge when visiting unknown areas. I love river taxis even if they are a little more expensive. 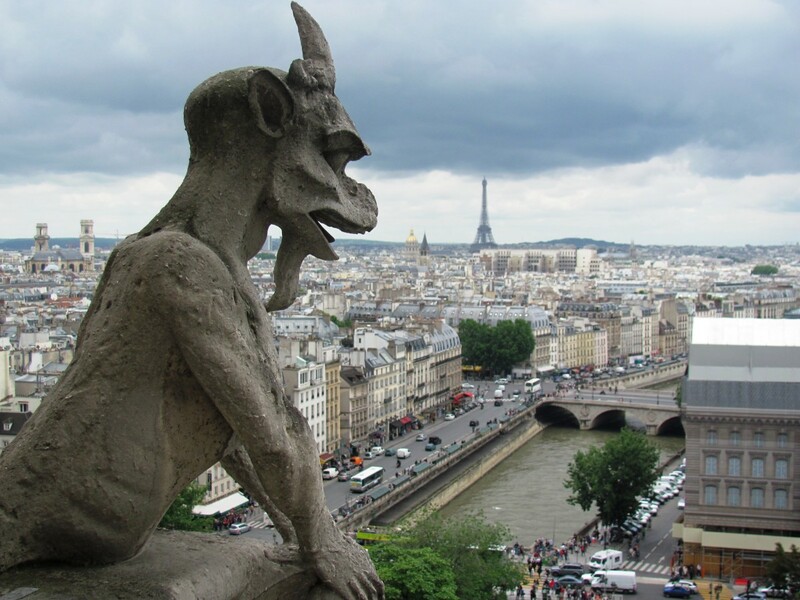 Paris has many cheap ones and even some cities in the UK do too. I find if locals use them for getting to work, they tend to be cheaper. Great hub; the city looks lovely and sounds like a super place to visit.